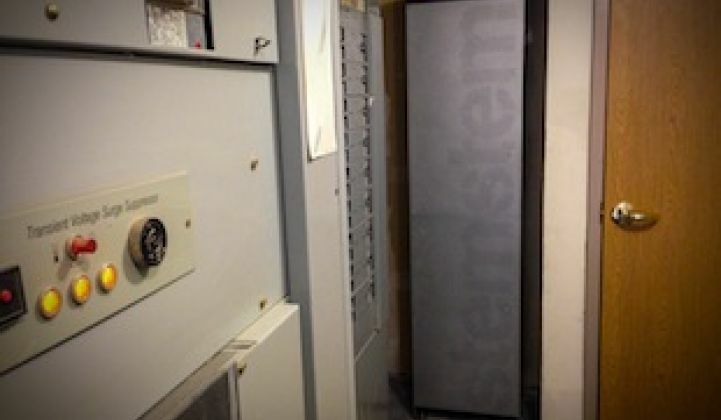 Will Stem’s Battery Systems Combined With Kyocera’s Solar Boost Energy Storage Adoption? Under the non-exclusive agreement, Stem will work through Kyocera’s sales channels and sales force to pitch its core business proposition -- batteries that inject power into buildings when they’re about to exceed certain thresholds that trigger expensive demand charges, pricing tier changes, or other components of a typical utility rate scheme for commercial customers that can jack up bills. This demand management function could in turn serve as a hedge against the future value of on-site rooftop solar, Karen Butterfield, Stem’s chief commercial officer, noted in a Tuesday interview. Consider that customer-owned solar PV is primarily paid today on the basis of kilowatt-hours, or how much energy it pumps into the utility system over time. But for commercial customers with demand charges and tiers to worry about, controlling kilowatts -- how much electricity is being consumed at any one moment -- is just as important. That means Stem’s battery systems don’t have to store enough solar energy to keep the building powered overnight, for example, she said. They need just enough to mitigate what Stem’s software knows will be the day’s coming peaks, accounting for all the uncertainties that come with predicting power usage. Stem backs the promise of quick returns on investment by financing its systems and paying itself back through utility bill savings, and it recently raised $100 million for these no-money-down deals. GTM Research predicts the U.S. market for distributed energy storage will grow at a 34 percent cumulative annual growth rate to reach 720 megawatts by 2020, driven largely by the demand-charge business case, but also boosted by solar integration needs. Solar-linked battery systems provide interesting opportunities for future revenue streams, though most will require significant changes to state-by-state utility regulations to achieve. Much of that value will be determined by how well the software in charge of all that energy balancing manages the day-to-day demands imposed by the building and the grid to optimize revenue, while tracking battery discharge depth and cycling to keep it healthy over its ten-year-plus lifespan. Right now, Stem and Kyocera will target California, New York and Hawaii as their initial markets. These are the states that provide the biggest incentives for distributed storage. They’re also furthest along in revamping their energy regulations to better incorporate distributed energy assets, including energy storage, into the grid. That’s made California in particular a target for solar-storage projects. Companies like Sunverge, Coda Energy, Green Charge Networks, and SolarCity and battery partner Tesla, are all deploying megawatts' worth of distributed assets across the state, fueled by the Self-Generation Incentive Program rebates that can cover more than half of system costs. Meanwhile, batteries have been making their way into solar PV module manufacturers’ sales pitches, largely on the residential side, where some homeowners are willing to pay extra for emergency backup power during an outage. Currently, homeowners don’t have a way to “sell” their battery’s capabilities back to the utility, although New York’s Reforming the Energy Vision (REV) initiative proposes the creation of a category of distribution system operators that could open these distributed assets up to the grid. Commercial customers could provide a more immediate target for distributed, aggregated energy storage at grid scale, given that demand charge reduction already covers so much of the cost of getting a system installed in the first place. “The future is really the aggregation of these assets, and being able to discharge when the grid needs it and when the grid can pay for it,” Butterfield said. Stem is already testing the waters on this front with a Northern California pilot project that’s paying its customers to bid into state grid operator CAISO’s fifteen-minute grid balancing market. It’s also working with Hawaiian Electric Co. to deploy 1 megawatt worth of its systems in the 18-kilowatt to 54-kilowatt size range at commercial properties across the island of Oahu to help manage its solar-stressed system.